Daimler’s Mytaxi and British firm Hailo, both ride-sharing companies, have merged to form what is being described as Europe's largest taxi hailing company with 70 million passengers and 100,000 registered taxi drivers in over 50 cities across nine countries. Subject to approval of European regulatory authorities, the newly formed company will operate under the Mytaxi brand, with headquarters in Hamburg, Germany. 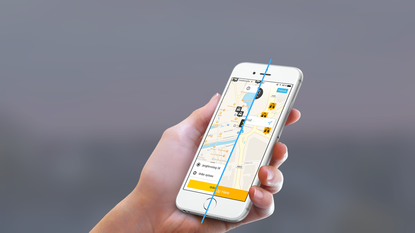 All Hailo operations in UK, Ireland, and Spain will be rebranded by mid 2017, the companies said Tuesday. Mytaxi and Hailo describe themselves as “taxi e-hailing” companies as they work with registered taxis rather than informal drivers offering their services. Uber has expanded fast in Europe but has fallen foul of local regulators in some countries. A wholly-owned subsidiary of Daimler Mobility Services since September 2014, Mytaxi is available in Austria, Germany, Italy, Poland, Portugal, Spain and Sweden, while Hailo operates in the U.K., Ireland and Spain. Daimler was one of the first car makers to get into the ride app business, a market into which its rivals have entered more recently. Ride-hailing app Lyft said in January that it had received a US$500 million investment from General Motors, while Volkswagen invested $300 million in ride-hailing company Gett in May this year. The car companies seem to want to provide the hardware and jointly develop technologies for the new on-demand market. The deal between GM and Lyft also involved the joint development of an integrated network of on-demand autonomous cars. Daimler has invested 500 million euros ($548 million) over the last years to build mobility platforms and services, it said. Hailo’s current CEO Andrew Pinnington will be appointed CEO of the new company, while Mytaxi founder Niclaus Mewes will be taking a seat on the supervisory board besides leading Daimler Mobility Services as its managing director.